There is plenty to keep your summer afternoons and evenings busy this week. Everyone’s favorite transit-oriented storytelling show, BUSted! 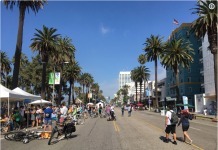 is back in Santa Monica, the Santa Monica Public Library is headed back to the beach this week, you can spend your lunch working out with Downtown Santa Monica for another Picnic on the Promenade, listen to reggae at the Pier, and enjoy free jazz at Stewart Park. BUSted! True Stories About Getting Around Los Angeles, Told By People Who Don’t Drive is back at Hostelling International in Santa Monica for its monthly residency, in partnership with Santa Monica’s Big Blue Bus. The show is on Thursday at 7:30 p.m. and will feature stories by Katya Duft, Tanya White, Ryan Talmo, and Eddie Solis. “You’ll hear tales of freaks, creeps, rock and roll stars and ordinary people riding the buses and trains, bicycling, walking and skating their way across the vast metropolis. These true stories told by comedians, musicians, writers and regular green commuters, will make you laugh, cry and/or freak you out,” BUSted’s Facebook event page promises. 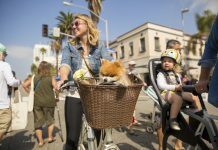 When: Thursday, August 13 at 7:30 p.m.
Leave your cubicle and join Downtown Santa Monica, Inc. for its penultimate Picnic on the Promenade this season from 12 to 3 p.m. on Friday. Downtown Santa Monica, Inc. will set up its usual picnic area between Arizona and Santa Monica Blvd. on the Promenade. This week, get in shape with Level Sports. 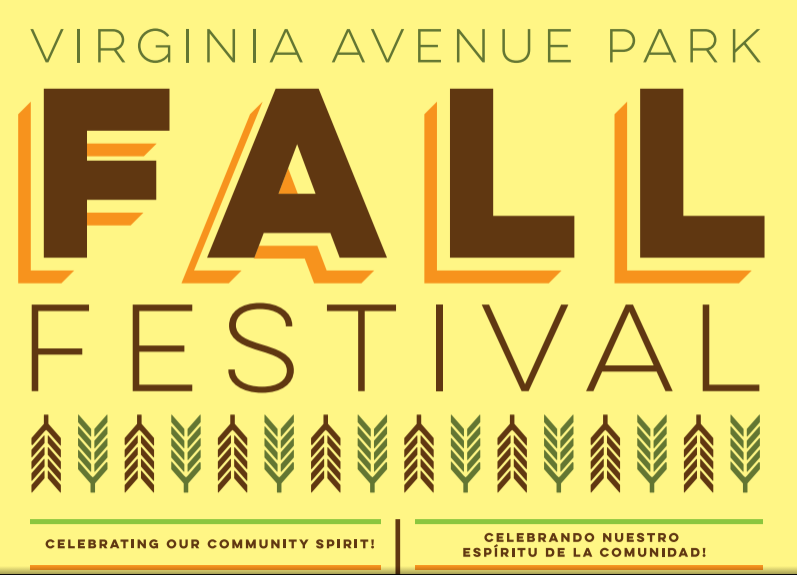 The Picnic will feature music, free workouts and an athletic gear fashion show. When: Friday, August 14 from 12 to 3 p.m. This week’s Twilight Pier Concert features reggae star Sister Nancy (aka Muma Nancy), known to the world as “the first female dancehall DJ,” according to the Twilight Concert Series website. The Kingston-born singer will share the stage Thursday at 7 p.m. with Jesse Royal and KCRW DJ Travis Holcombe. When: Thursday, August 13 at 7 p.m. This Sunday, Jazz on the Lawn returns to Stewart Park with Louie Cruz Beltran. “Blending Afro Cuban rhythms with jazz, Latin jazz, pop and R&B influences, Louie Cruz Beltran is an entertainer at heart who is also a superbly skilled conguero, timbalero and vocalist,” according to the city’s website. As always, there will be several food trucks at the event to choose from. This week’s lineup includes, Slammin’ Sliders, Mangia Italian Ristorante on Wheels, and Sweet E’s Bakeshop. 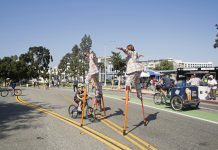 When: Sunday, August 16 from 5 to 7 p.m.
Join the Santa Monica Public Library on its next summer excursion to the beach on Saturday from 10 a.m. to 3 p.m. This week, Santa Monica Public Library will head to Dorothy Green Park, where Ocean Park Blvd. ends. When: Saturday, August 15 from 10 a.m. to 3 p.m.